To promote the conservation of natural resources through informative public programs, our newsletter and this web site. 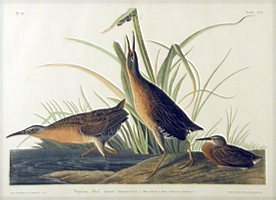 To provide the opportunity for the observation and study of birds and other wildlife, through our field trips. To offer early education programs including bird banding stations and classroom bird skin programs. To empower our members and the public with the knowledge to be effective environmental advocates. To contribute to the recovery of the Gunnison Sage Grouse (GUSG) through joint efforts with GUSG working groups and federal and state agencies. Wednesday, June 26, 6:00 p.m.: It's not too soon to put this on your calendar. Please join us for a delightful dinner and speaker presentation at the upstairs meeting room at Remington's Restaurant at the Bridges Golf Course. Our speaker this year will be Dennis Murphy, who recently returned from a fabulous trip to Antarctica and will be showing many of his 4,000 slides of dramatic scenery, birds, and wildlife. For those who have dreamt of a trip to Antarctica, this is a presentation not to be missed. We hope that you will join us and that you will bring friends along with you. It is not necessary to be a BCAS member to attend, only to want to have an interesting and wonderful evening. Reservations will be required, and a reservation form will be available soon. 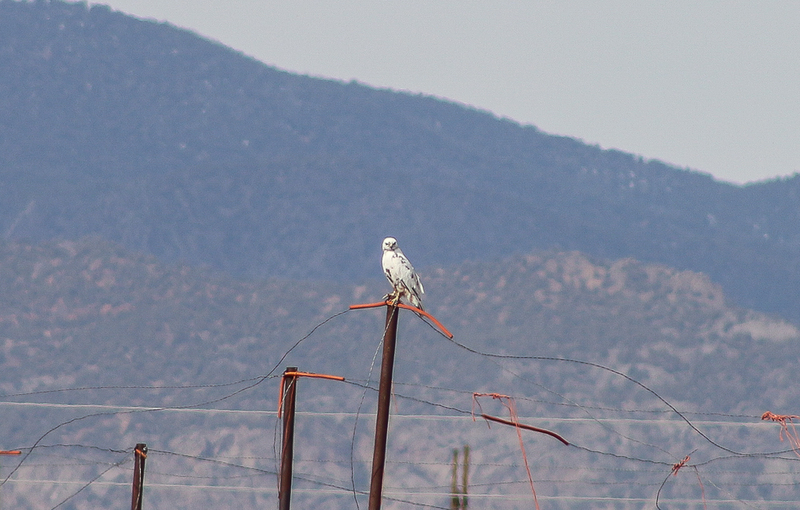 Leucistic Red-tailed Hawk near Solar Road south of Montrose. Photo taken by Robin Lewis on March 26, 2019.